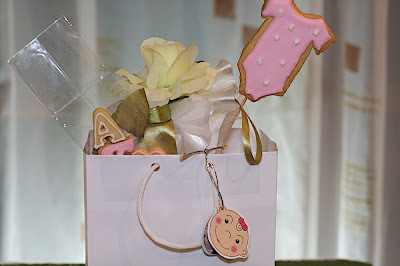 These cookie favors were ordered for the majlis 'cukur jambul' of a baby. There are two types of cookies here. There are loose cookies sealed in a bag. 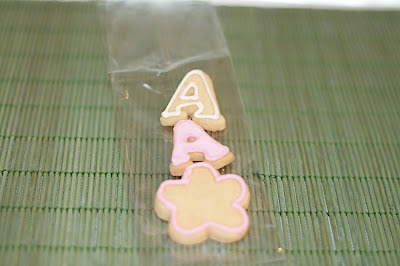 These cookies make up the initials of the baby girl. 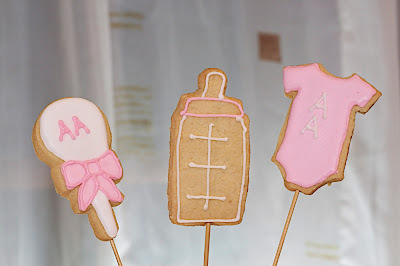 The other cookies is a lollipop cookies of various baby items.